by Dave from The Longest Way Home ~ May 26th, 2017. Updated on February 21st, 2019. Published in: Travel blog » Nepal. I initially thought my first book would be a paperback about my overland journey. That idea started over 15 years ago. Then, the smart-phone came out followed by the Kindle and tablets which led all but a few to proclaim the death of the paperback book. Ebooks sprang up as brick and mortar bookstores closed down. Mainstream print publishers began to merge and all but the death nail was being spoken about in terms of print. Blogs took off and independent publishing went from being frowned upon to being the next big thing. 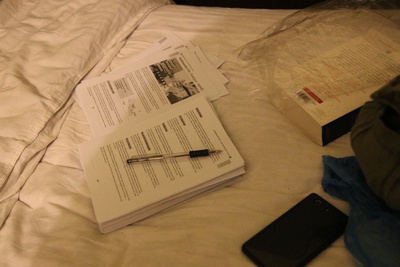 Amazon ruled, the Kobo fell from grace and travel guidebooks remained awful on a kindle (still are). 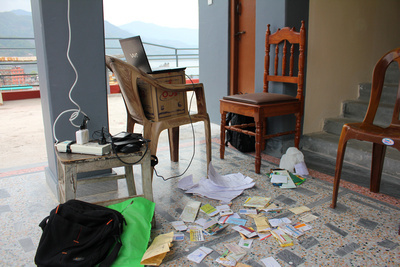 One of my many “offices” around Nepal … yep that’s a laptop balancing rather precariously on a cardboard box on a plastic chair – do note the tape holding all the wires together too! I focused on travel. But guidebooks were in an upheaval too. Remembering back to 2004 in the planning stages of my journey I became irritated when browsing popular paper guidebooks which had lost their sheen compared to 10 years previously. Now it seemed like everything was “wonderful with friendly locals everywhere” while budget hotels seemed to be vanishing from their pages – they were becoming generic and corporate. Standing at a train station in Romania with a missing road on a guidebooks map I first had the thought “I can do better than this”. Today, some eleven years later after that thought, I’m watching the first edition of my guidebook to Nepal come off the printing press of an international publisher. We published a second edition in 2019. It was a bit of surreal day. But one that’s taken some time to get right. I think most people that travel, at some stage, think they can write a better guidebook. The Longest Way Home actually started with travel guides in 2005, the travel blog or “my” journey came later as it was hosted elsewhere. A technicality, however it brings up a point. I enjoy documenting things, so writing online travel guides is relatively easy, but more importantly enjoyable. It seemed the future of travel publishing had arrived. Then came the smart-phone and apps. The mind or rather “knee” shattering task of visiting, reviewing and collecting hotel, restaurant, trekking agencies etc information. 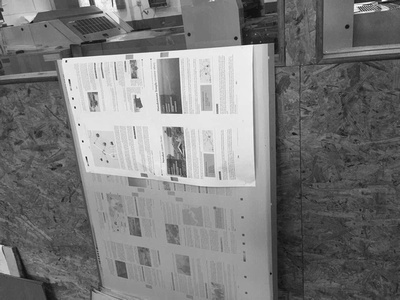 Then compiling it all into maps, reviews and so much more … This is just some of what it takes to rebuild a guidebook from scratch. “They” said the guidebook was dead. Apps would rule the travel world on iPads and tablets. Virtual Reality, live streaming videos, interactive maps and some funky term called travel augmentation were all touted by the very best. I too made an app, but it never felt right in terms of the technical capability of a phone or tablet to serve up a great practical experience. In an office sure all travel apps seemed great, but out in the real world apps just didn’t work as well. Meanwhile, the kindle was busy turning travel guidebooks into laborious kilobyte fillers. Maps do not work well on a paperwhite Kindle. That said, guidebooks on phones, Kindle fires and tablets were pretty awful too back then. You simply couldn’t flick through them like a paper version and they were just not user friendly. I saw the opportunity to improve all this. At the time I was 9 years into a continuous single journey and I knew what was needed in a guidebook. I built an interactive guidebook in 2014 and that was just what I wanted as a guidebook. Other travelers agreed that it was unique, refreshing and more importantly it worked well in the real world. Why? Because it’s written in the same way that people really travel – filling all the gaps that generic publishers leave out. I don’t write corporate cookie cutter guidebooks nor am I constrained by a host of micro-managed departments led by people who spend more time behind a desk than out in the field. I write and create guidebooks based on a travelers needs in that particular country. Custom guidebooks if you would let me coin such a phrase. I also don’t take sponsored stays, treks, meals or offer paid tours. Everything you get with my guidebooks and website is 100% genuine just as a real traveler experiences the world. Nepal is in a way a perfect storm. Crazy streets, magnificent mountains, a lack of facilities, electricity, internet and so much packed into small areas that no guidebook until mine truly captured the Himalayan nation for travelers to explore properly. My guidebooks to Nepal have solved these problems bar one. Many travelers here in Nepal over the past few years have still been requesting for a print edition version of my interactive guidebooks. Why did they still want print? 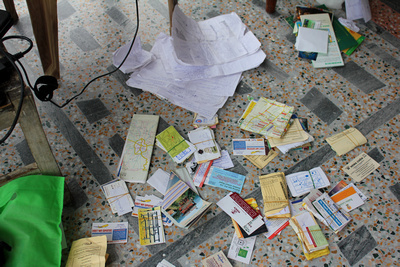 Paper guidebooks solve many problems in Nepal for the traveler. Firstly there’s no need for electricity. They can throw a print guidebook around, drop it, get it wet or have it knocked out of their hands with no fear of it breaking. Nepal is haphazard sort of place and a paper guidebook still feels safer to many in their hand than a phone or tablet. Also, travelers to Nepal generally want to spend time learning about certain places, being out in the mountains or being out and about exploring the unknown. Print books somehow blend in well with Nepal. There’s a leisurely, learning pleasure about Nepal that makes a print guidebook, for many, the best way to experience the country. So it seems, my best selling digital guidebook to Nepal needed a successful sibling in print! Publishers of different kinds have also approached me. One wanted me to transfer my book into a book like app. No thanks. 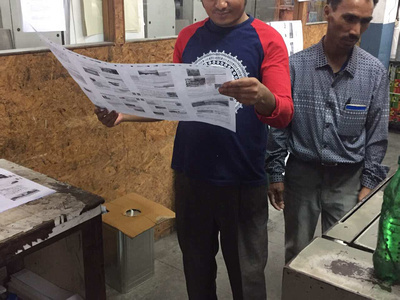 Printers from Himalayan Travel Guides going over the first printing plates … nerve wracking for some reason. 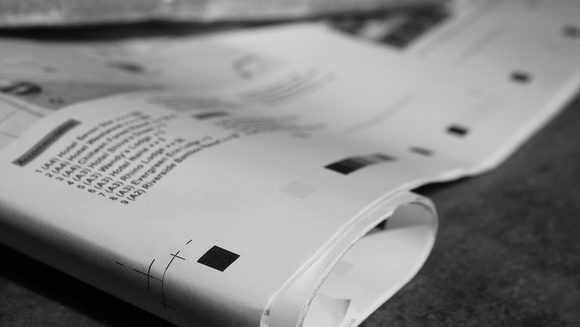 Digital ink to paper print is not as easy as you may think! Another wanted me to rebrand the book into some type of magazine format. Nope, didn’t work for me. Then, one guidebook publisher of best selling trekking books, mentioned their interest. They had something to offer no one else did. Not only were they an international publisher but also their books were printed in Nepal by Nepali people. The perfect storm had a conclusion. The first print edition of my guidebook to Nepal would be 100% made in Nepal, printed and published by Nepali people themselves. It was another way of giving back and helping out the people of Nepal post the 2015 Earthquake. Is there no better place to have a guidebook published then in the country the book is about! Today Himalayan Travel Guides and The Longest Way Home present Nepal: the most complete travel guide in the world. I couldn’t have asked for a better way to publish my first and second edition paper guidebooks to Nepal. 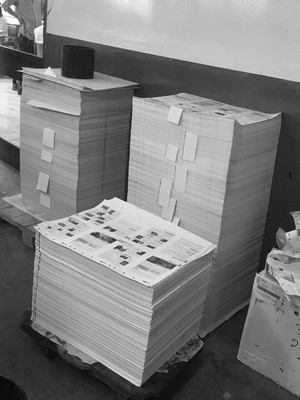 It’s a very different processes to print a travel guidebook compared to a novel or non-fiction book. With digital I rebuilt, or reinvented, the guidebook to Nepal. Research, editing, technical work, photography, maps, proofing it’s all there in digital format created by me. With print everything was “virtually” turned on its head. Formats were different, typefaces, layouts and more layouts. Then came the literary technicalities of working with a publisher. Agreements were needed on naming structures, fonts, layouts, maps and so forth. It’s challenging. Moreover, we needed to keep my style of format accessible both to the successful digital version and its sibling paper version. Here’s a mind-breaking example: due to cultural diversity in Nepal everybody seems to have a different name or spelling for everything in Nepal like Swayambhunath, the famous stupa overlooking Kathmandu e.g., Swayambhunath (Monkey Temple), Swayambhunath stupa, Swayambhhunath, Swayambhhunath stupa, स्वयम्भूनाथ स्तुप :joDe”gfy :t’k – this last bit of gobbledygook is a version of the text written in the Preeti font – it rarely shows up properly online or in print! So, a lot of technicalities needed to be worked out between the writer/ publisher, the new print publisher while at the same time respecting all of Nepal’s cultures. The great news is that we did it! And it’s 100% made in Nepal by Nepali people, layout artists, designers, printers and publishers. It’s also made from recycled paper. Yes, both editions have been grueling processes behind the scenes. But I’m very happy with the end result. I have no doubt whatsoever my guidebooks to Nepal are the best in the world today. I’ve yet to have a single complaint other than people wanted a print version. That says something! Moreover, in 2018 one of the big “corporate” guidebook publishers used the same subject matter for their cover image and somehow the text was “falteringly similar too”. Still, in 2018 the hard copy version of my guidebook to Nepal sold more than any other guidebook in Nepal. And now the next edition of this guidebook is circulating to bookshops nationwide in Nepal as we speak. No guidebook will ever be perfect. I’ve become used to my Newari friends critiquing about the Hindu/Buddhist names mentioned or not mentioned and vice versa. Let alone the remote temple that takes hours to visit that is really not worth the journey there. This guidebook, just like my digital ones, will take you to places not mentioned in any other guidebook and help you explore the places that are, better than any other guidebook. It’s a proud moment for me. It’s also a great moment for Nepal to have it’s own guidebook made right here in Nepal. It’s also a wonderful time for travelers to finally get a paperback version of the best guidebook to Nepal in the world that will show them the country like no other guidebook on earth. Today copies of this book are being shipped to bookstores around Nepal. Himalayan Travel Guides are taking international shipping orders or you can directly order the print edition Nepal guidebook with free shipping by book post. Copies are already available for sale at Himalayan Map House book outlets in Thamel (under Purple Haze), Chettrapati and Basantapur, Summit Bookstores, Paradise Bookshop, Pilgrims Bookshop and all good book stores throughout Thamel. Mandala Bookshop in Pokhara also have stock. International online orders are available at Nepal guidebook (print edition) all books are sent with registered international book post. Affiliates and sales partnerships are also available with generous commissions for digital and print editions. Contact me for details. If you’d like a review copy of either the print or digital version then contact me. And one last thing. This near 600 page paperback book has been designed to be light enough to carry around easily. It’s also cheaper to buy and far better than any other guidebook out there. Yes, it was made with a purpose. To make travel in Nepal better for everyone. Here are the full details of the best print guidebook to Nepal including a surprise inside the book that no other guidebook in the world has but every traveler in the world can use! It’s a simple but great thing that no one thought of before, but we have it! Meanwhile right here, as always, you can still get the best online guides to Nepal and purchase the best guidebooks to Nepal. I’ve been reading here for years. Good going mate. Looking forward to the big reveal! An amazing accomplishment. Can’t wait to see the book. Great to see people like you take on Lonely Planet. Their books are so stale and predictable. Go for it! Well, each to their own but here are the best alright! Great to discover people pushing boundaries like this! Breaking boundaries is my middle name! Nice words. These are guidebooks like no other. Glad to be making new changes. Hey David, I congratulations on the book! Can’t wait to see it. What a great news! I’ve been waiting for this! Finallyyyyy! The book is here and in all Nepali bookstores just waiting to distribute internationally. Hi Dave, I just wanted to stop by and congratulate you on your guide book. Such hard work! Fantastic to read a story like this. I’ve been to Nepal and agree that the current crop of guidebooks are lackluster. I also prefer paper guidebooks so I can write notes on them. Glad to get your feedback on paper guidebooks. It’s all ready to go! Long term follower. Congratulations! What a journey and life story! Please publish your journey book too. It would be an inspiring read. There’s so much fluff out there and the world is changing so your frank words are so very welcome!! Thanks for the kind words Renny!